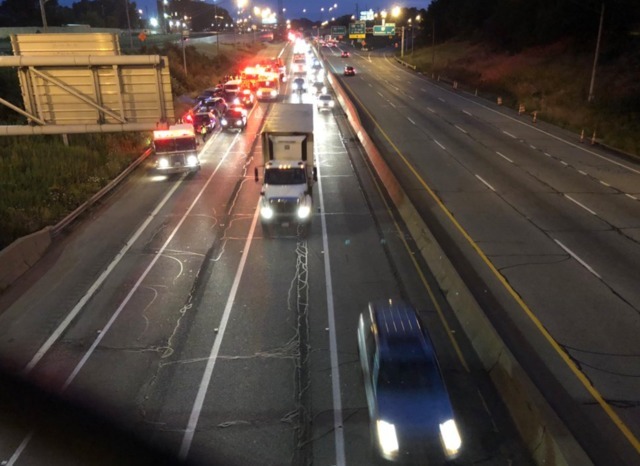 A four-car crash on I-77 southbound before Pershing Avenue closed the right lane to traffic as EMS and police responded to the crash early Tuesday morning. At first, the crash closed both lanes, but Cleveland police were able to move the cars into the left lane. EMS transported a 44-year-old woman, a 53-year-old woman, a 26-year-old man and a 54-year-old man to MetroHealth Medical Center with minor injuries. At least three ambulances and a firetruck were on scene of the crash. No further information on any injuries was released. News 5 will continue to update as more information becomes available.